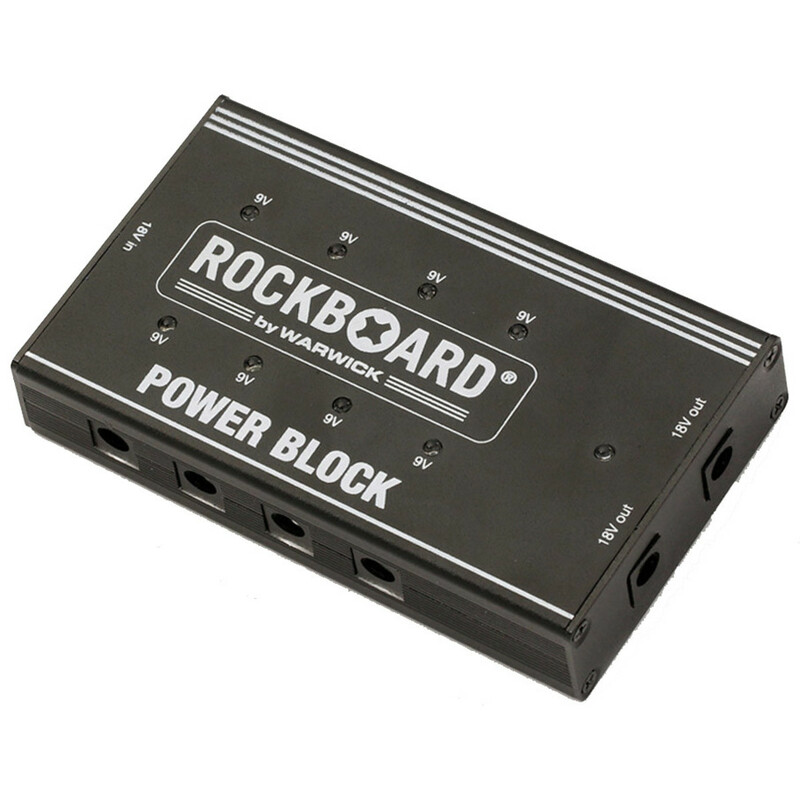 The RockBoard Power Block is a compact power supply, delivering current for 10 effect pedals. The Power Block has 8 x 9 V (150 mA each) output and 2 x 18 V (400 mA each) outputs. This power supply provides 2000 mA and comes with 10 connect cables and a mains adapter.